This page shows the latest Allergy Therapeutics news and features for those working in and with pharma, biotech and healthcare. Meanwhile UK biotech company Allergy Therapeutics has some good news at last from its long-delayed allergy treatment. 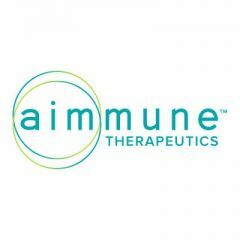 Aimmune Therapeutics' lead product is a phase III peanut allergy treatment. . ... An oral biologic containing the protein profile found in peanuts, AR101 is designed to desensitise patients with peanut allergy. 587.5. Santaris/ Roche (pRED). Company acquisition. Locked Nucleic Acid (LNA) platform for RNA-targeting therapeutics. ... 183. Immune Design/ Sanofi. Licence. GLAAS discovery platform to develop therapeutics for a selected food allergy.